For the international student that I am here, I could not just disregard the beautiful trajectory for Brisbane—Australia’s New World City— last year and this year. 2011 saw Australia hosting a summit in July for Asia Pacific region and in 2012 still Australia will play host to another international event on behalf of Oceania. Asia Pacific. Oceania. Wow! I know from a modest point of view (since I was never geek enough in the sciences) that they may seem just two orthographic projections playing in my mind. But how relevant then shall be our knowledge of the Geosciences today, when every so often we hear natural catastrophes occurring from this side of the planet to another? We ought to stress that—as human beings living in this planet—we are in an unprecedented territory, just as we started to think that Mother Nature will leave us for a little while, it will always come back with a full force. Volcanic eruptions, earthquakes, floods and other natural hazards are all inevitable—and all covered by Earth Science! The International Geological Congress (IGC) is the leading global forum for the Earth sciences. The Congress, being held once every four years and typically attracts 5000 delegates from over 100 countries, has been referred to as the Geosciences’ Olympics. Having been held first in 1876 in Paris, the IGC is one of the longest running professional sector conferences in the world. It has been regularly held ever since with the most recent ones hosted in Oslo, Norway (2008) and Florence, Italy (2004). Petroleum Exploration Society of Australia. 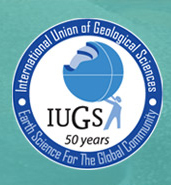 IGCs are run under the auspices of the International Union of Geological Sciences, which facilitates international geoscientific collaboration and development of standards. Many delegates are involved in cutting edge research. There will also be distinguished senior personnel representing national geosciences agencies, major resource companies as well as the extensive supporting contracting industry. In fact, the 34th IGC Scientific Program will feature a daily Plenary Session, 220 symposia under 37 themes in which distinguished speakers will give invited presentations on major contemporary themes in the geosciences. IGC’s are held in host cities throughout the world. Countries that wish to host an IGC must bid for the event. The bid must demonstrate that the country has the expertise and resources necessary to run the event and do so at a cost that is reasonable to delegates who must pay fees to attend. Bids are submitted by numerous countries and are subjected to a competitive selection process. The 34th IGC is being held in Brisbane as a result of a successful bid against India and Morocco back in 2004 during a previous IGC in Florence, Italy. As released in the third circular of the 34th IGC, there are discounted accommodation rates available that were negotiated particularly for IGC delegates only at an extensive range of hotels and accommodation establishments in central Brisbane. Booking your accommodation can be done when you register for the Congress via the online system or through the downloadable registration form. Apparently since there is a heavy demand for accommodation in the city, expected delegates are urged to book accommodation as soon as possible. 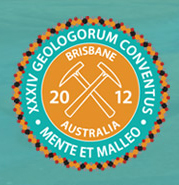 The international congress, slated on 5—10 August, 2012 at the Brisbane Convention & Exhibition Centre, will also provide an opportunity for young scientists and students to engage with some of the best geosciences minds in the world. The YES (Young Earth Scientists) Network will hold its second Congress within the 34th IGC. This event is brought to you by Geoscience Australia, GNS Science (New Zealand), Carillon Conference Management along with academic partners Queensland Institute of Technology and the University of Queensland, while Vale as one of the major sponsors. If interested, please register now by visiting its official website at www.34igc.org. Lambert, I., & Gordon, A. (2011, September). Guest Lecture from IGC. In J. Watson (Professor), Entreprise 2.0. Lecture conducted from Queensland University of Technology, Brisbane, QLD. Someone got even luckier on his last birthday to be granted an exclusive interview with a beauty queen whose interest lies in calligraphy, fashion, food and design, and who once said “I Just Got Lucky” in this one-on-one chat for a webisode that will take you to the changing skyline of her country.